1. Cut a length of string beads approx. 20″. Cross the cut ends. 2. Twist beads together leaving the loose ends in the opposite direction. 3. 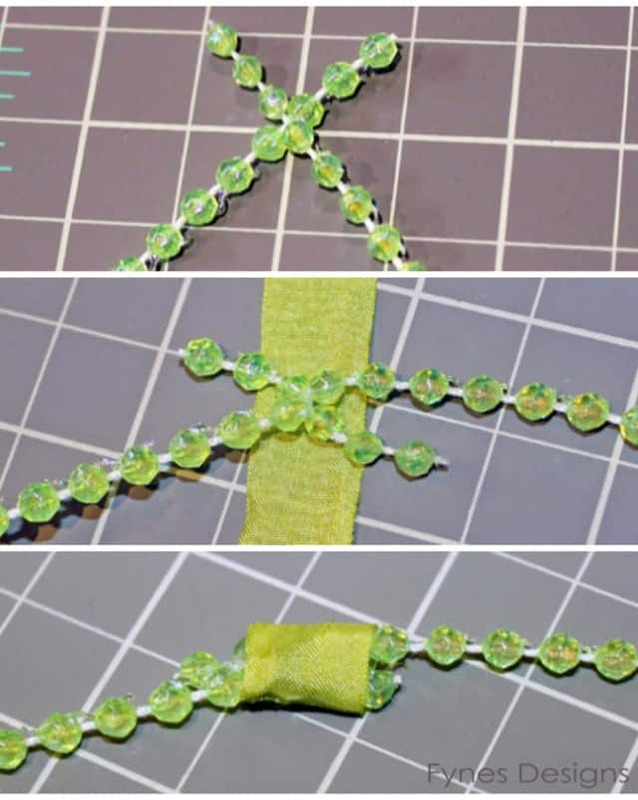 Wrap with a piece of 1/2″ ribbon and hot glue to secure ends. Snip excess beads off. For the pendant- Cut your desired shape (heart, star, circle, etc.) from the fabric/paper. Punch a hole in the top and tread 1/2″ ribbon through. Tie onto bead strand, securing with hot glue. 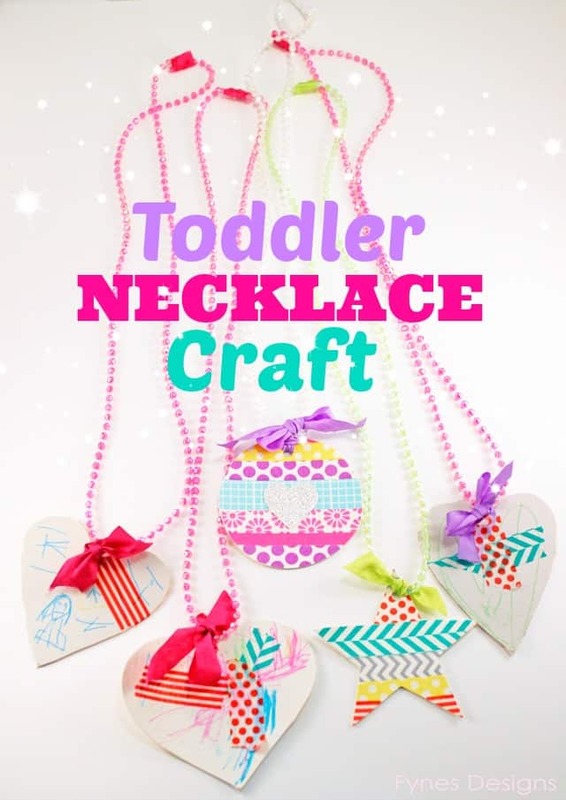 Have your toddler complete the craft by decorating the shape using pens, markers, washi tape or any other craft supplies you have on hand. May Arts string beads come in a variety of colors to please any wee one. 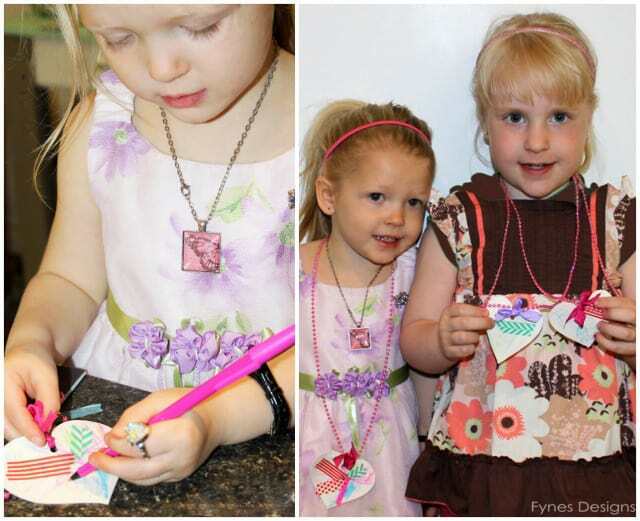 This toddler craft project is part 2 of my May Arts Design Team application. To check out all the details of the DT call check out the May Arts blog. I found you at All Things Pretty Liny party. These are so adorable. 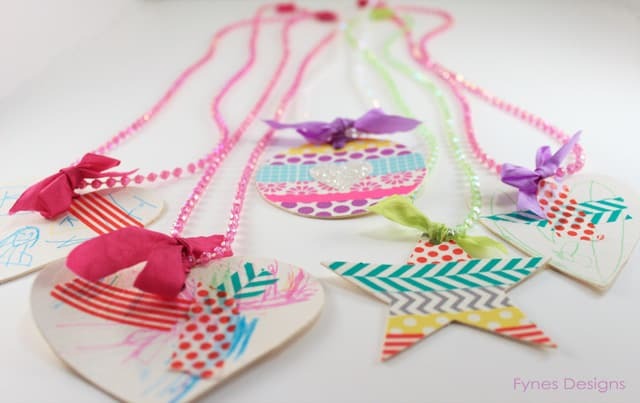 My little princess will love making these! 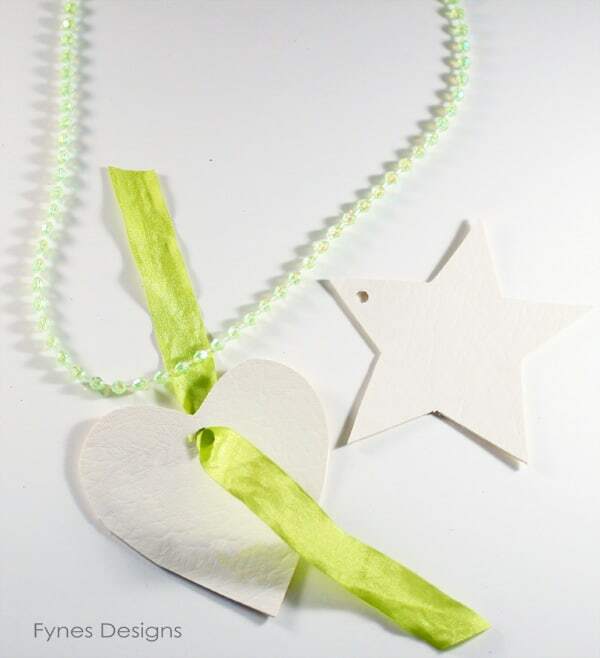 THanks Meredith, they really are super simple, but very pleasing for your little ones!